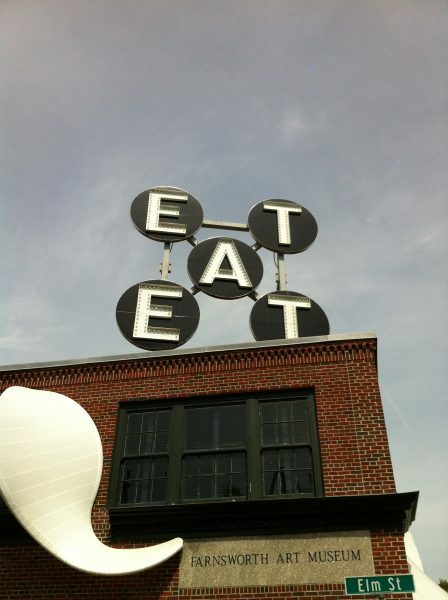 While visiting the Farnsworth Museum in Rockland, ME on Sunday, we looked up and remembered the EAT sign over the Main Street-facing wing of the museum – a repurposed commercial building. 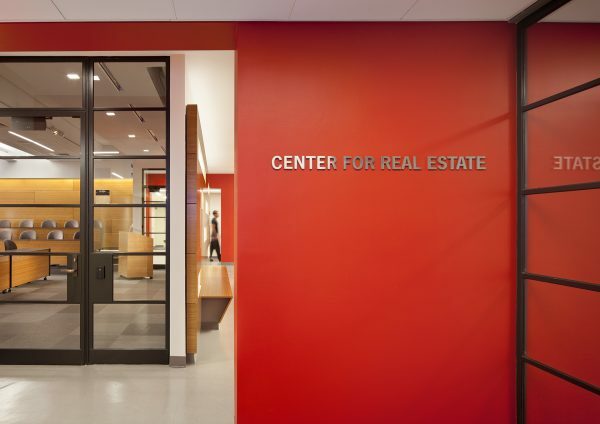 The sign, first created by Robert Indiana in 1964 (the artist who conceived the iconic “LOVE” sculpture – a family favorite), is similar in spirit to the signs we have been recommending for potential temporary retail pavilions adjacent to Boston’s Convention Center (as a component to a comprehensive plan we are doing with Sasaki) and above new and repurposed manufacturing buildings in New Haven’s Mill River District. As another example of unregulated “urban design,” the coffee house down the street (“FOG”) adopted a similar format and technology.